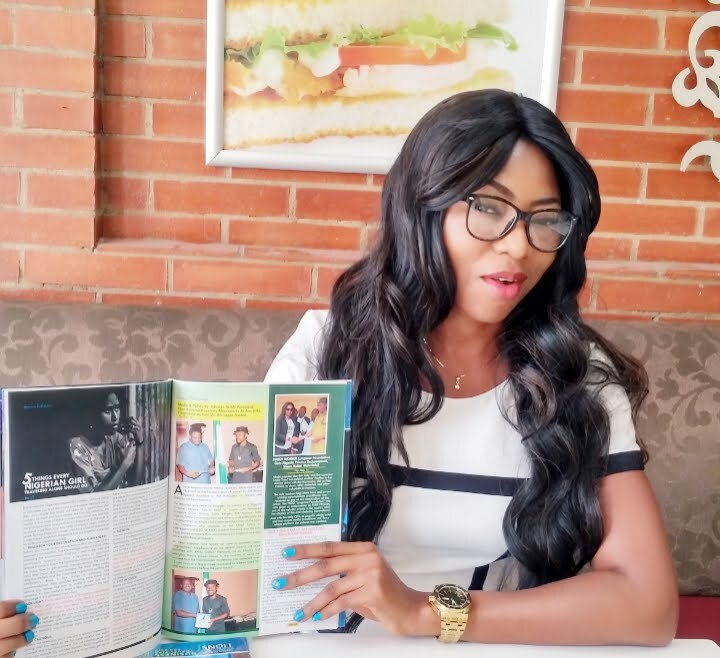 Abuja popular showbiz entrepreneur Linda Yusuf has received her complimentary copies of ATTENTION Magazine from the chief Editor yesterday in Abuja following a meeting held at an exclusive place. The CEO of Lyngrace Entertainment who got featured in the Blue impression edition during her charity visit to Kuje Prison was excited with the contents and quality of the publication. The Kogi state born lady who recently returned to Nigeria from the USA after sealing a mega international pageant ‎deal commended the publisher Alex Nwankwo for the print publication which she said is gradually becoming a household name in the country with regards to the spread and social media pressence. It would be recalled that Dana Airline is a major partner to ATTENTION Magazine with copies spread accros passengers seat on the flights.